Writing 'Jackie Cameron Cooks at Home' has taken me on an emotional and educational journey of discovery that started with a big bang and, once again, proved to me how important it is to 'show up'. To précis a very long story... I had a really bad motor-car accident in 2010 and was told I needed to spend four days in hospital. I begged and pleaded with the doctor because I had committed myself to a function that afternoon which meant I could spare only four hours! The event was at The Pavilion, a shopping centre in Westville, Durban, and it was the launch of Justin Bonello's recipe book:'COOKED, Out Of The Frying Pan'. I truly looked terribly beaten up and Justin's greeting was, "Jackie, you could have just cancelled". My philosophical reply went something like this: "It's important to always show up". I think when the publisher of Justin's book saw me she knew, in a crazy sort of way, that I had something to offer the publishing house. Two years later all the conversations have been had and now 'Jackie Cameron Cooks at Home' is on the shelves. So, a massive thank you goes to the Penguin publishing team for allowing me this platform. The supportive Hartford House management team has understood my need to explore, challenge myself and meet my long list of goals. My sous-chef, Elaine Boshoff, took a huge workload off me - without her I would never have managed. Robynne Balcombe played an intricate part in this cookbook coming together. She tirelessly cooked up every single recipe of mine - more than once - and helped me style each photograph. Olivia Schaffer has cast her journalistic eye over every culinary word I have ever written. She offers guidance, makes sense of my industry terms and sometimes has to tone down my foodie enthusiasm. Photographer Sally Chance and I have worked together for many years. We have mutual respect and understanding and always have a happy time together. I love the pictures she takes because they reflect our joy. And this little team reflects 'girl power'! Here I shall share three recipes from my cookbook - a little peep into what I prepare for myself at home. One day I'll compile a coffee-table cookbook of my signatures recipes but, for now, I want to share a decade of my tried-and-tested dishes in a user-friendly way. When I crave savoury muffins I want loads of cheese, corn, biltong, and tomatoes. All those delicious ingredients ensure one mean muffin. Try it, you'll see! I lost count when it came to debates in our household over what ingredients made the best macaroni and cheese. To enhance the dish my mother always added extra 'goodies', whereas my maternal grandmother preferred to keep things simple. 'Mothers always make it best', I would hear my dad mumble to us girls as we tried to rev up our mother. My hope is that this book inspires readers to take the time to make a proper white/cheese/mornay sauce. With a little extra care a simple dish can be made simply delicious! Apple crumble with freshly-poached, in-season apples, raisins, loads of cinnamon and a dollop of fresh cream definitely warms my heart. It's without doubt one of my favourite home-cooked puddings. Pissaladière, a pastry base - we use homemade puff - topped with well-caramelised onions, tomatoes, anchovies and olives. It's a perfect light-lunch option when served with a green salad, and it takes me back to my French-classical training days. These roots, with happy childhood memories, are the corner stone of what I create today. 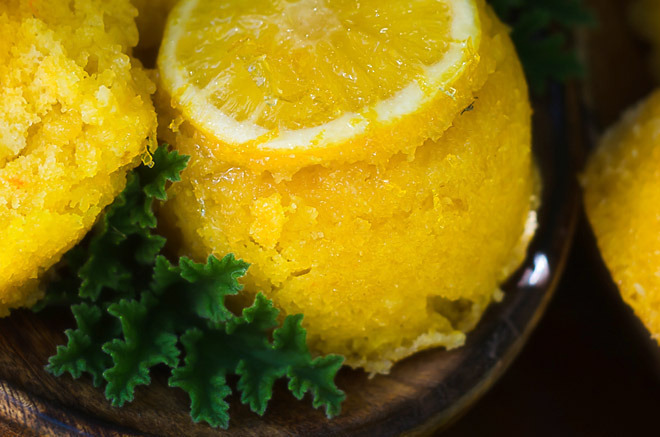 Citrus butternut cake combines sweet and savoury. It's a delicious little cake and, served with homemade vanilla-bean ice cream, it becomes an irresistible treat. Oozing chocolate tart is, undeniably, the most delicious chocolate tart I have ever eaten - keep space for it. Seriously, you have got to be a true chocoholic to appreciate a slice of this indulgence.Please take these recipes and try them! I urge you to go out and buy 'Jackie Cameron Cooks at Home'. It's an unbelievable deal for only R250 at any well-known bookstore, or online.